North Americans love dining out. I know it’s just great to have food with your loved ones and share some thought-provoking conversations over the drinks with your friends. 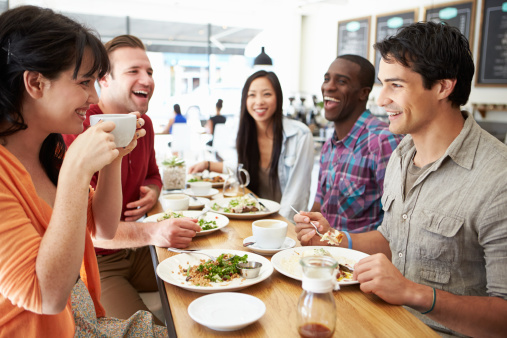 Dining out is a great pass of time, but how do you know that anything you’re eating is healthy for you. Well, if the restaurant is renowned or family-owned, then there’s less to worry about the quality of food. On the other hand, the fast foods and average restaurants do not merely care about your health. Most of them use processed foods and GMOs (Genetically Modified Organisms or Foods) to make a delicious looking dish that you would love. If you’re a health conscious person, then this article is meant for you. In this article, we’ll be discussing about some simple ways to avoid eating unhealthy foods when you’re dining out. For salads, the greener, the better. I often pick spinach or kale salads if they are a menu option. They are both excellent sources of vitamins A, C, E, K, B vitamins, and various minerals. Iceberg lettuce and romaine lettuce have similar nutrients; however you receive more nutrients in the darker greens. You may have dressed to impress; however, when it comes to the food in the restaurant, it might be wise to dress down. When it comes to salads, avoid creamy dressings and processed meat toppings such as bacon bits. Ask your server to bring you olive oil and balsamic vinegar, which you can add to your salad yourself and control the portion. Olive oil offers plenty of health benefits. It gives a personal touch to an otherwise man-made meal.